Mobile-first indexing for restaurants is here. Earlier in September, you may have received an email from Google Search Console notifying you that mobile-first indexing has been enabled for your restaurant website. If you haven’t, and you have access to Google Search Console, then expect to receive this notification very soon. Not sure what mobile-first indexing means? Don’t understand how it will impact your restaurant? This is the article for you. Mobile-first indexing looks set to completely shake up the world of search. As Google is a huge driver of traffic to restaurant websites, it’s crucial that owners understand what mobile-first indexing is and what it means for their business. In order to rank your website, Google needs to know what it is about. It does this by using a search bot that crawls your website and adds the information to Google’s index. Google then uses the information in its index to rank websites according to the keywords used. Google used to crawl the desktop version of your website for its index. But now it will now be using the mobile version of websites for indexing and ranking rather than the desktop version of websites. This is not a second index, there is still only one. That means if you have a mobile-friendly site, Google will crawl that and not your desktop site. If you don’t, Google will still crawl the desktop version as it always has. On the official Google blog, the company announced that they are switching to mobile-first indexing in order “to better help our – primarily mobile – users find what they’re looking for”. The fact is that most people browse the web on their smartphones. In fact, there are currently around three billion mobile users worldwide. This is only likely to grow in the future and so Google wants to take steps to build their product around mobile users now. How will it impact your Restaurant’s Rankings? There are two ways that the move to mobile-first indexing can have a negative impact on your rankings. If you don’t have a mobile-friendly website, there is a strong chance that your website will disappear from Google rankings on a mobile device. As we said above, Google is making the move to improve the experience of its mobile users. With that in mind, they don’t want to include websites in their rankings that don’t work well on a smartphone. Given that a lot of restaurant goers search for nearby places on their phone, this could be very damaging for business. The second way you could be negatively impacted is if the content on your mobile site is much thinner than it is on your desktop site. There was a trend at one point to considerably pare back the content of mobile websites to make them more functional and user-friendly. Because Google will only be using your mobile site in its index, if this is the case for you then your rankings on both desktop and mobile could be affected. There are some positives, however. If you have a great looking mobile website that loads quickly and contains everything a customer needs to know about your restaurant, you could experience a boost in rankings. This could be especially big if your competitors are stuck in the past with websites that aren’t optimized for mobile. 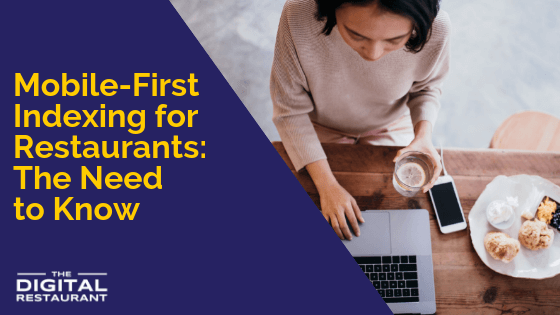 Now you know what mobile-first indexing is, it’s time to get your restaurant website and your restaurant marketing strategy ready. Here’s what you need to do. If you don’t have a mobile-friendly website at the moment, you need to get one fast. For some restaurant owners that will mean having a separate mobile site developed. For others, it will mean having their entire website rebuilt. 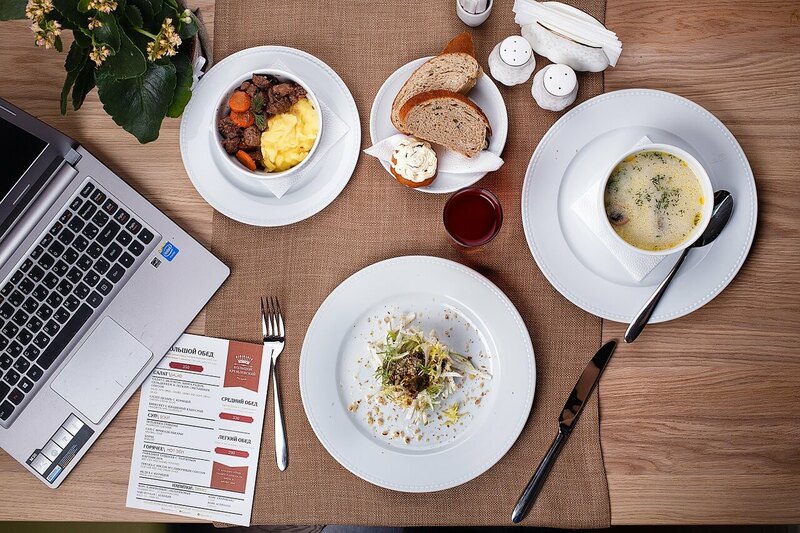 You can find out more about what the perfect restaurant website should look like in our handy guide. If you are ready to commit to a new site, then request a free consultation and we’ll get started immedaitely so that you have a new website as soon as possible for mobile-first indexing. Do you have an XML sitemap? This is one element Google uses to crawl your website. Make sure that your mobile site includes an XML sitemap. Is their high-quality content? Ideally, your mobile site should have exactly the same content as your desktop site. Make sure that it is high quality and in-depth where needed. Consider expandable content – If you have a lot of content and you really don’t want to include it all as it is, consider hiding your content with expandable content drop downs. These are a great way to have all the content your site needs to rank while keeping it user-friendly. Is it fast? Your mobile site should be very fast. That means it should load in around a second. If it doesn’t, use Google’s PageSpeed Insights to see what you need to do to make it faster. Whether you have a mobile site and you need help improving it or you don’t have a mobile site at all, The Digital Restaurant is here to help. We can build you a new website or optimize your current one so that you are set to take advantage of mobile-first indexing. Find out more by requesting a free consultation today.